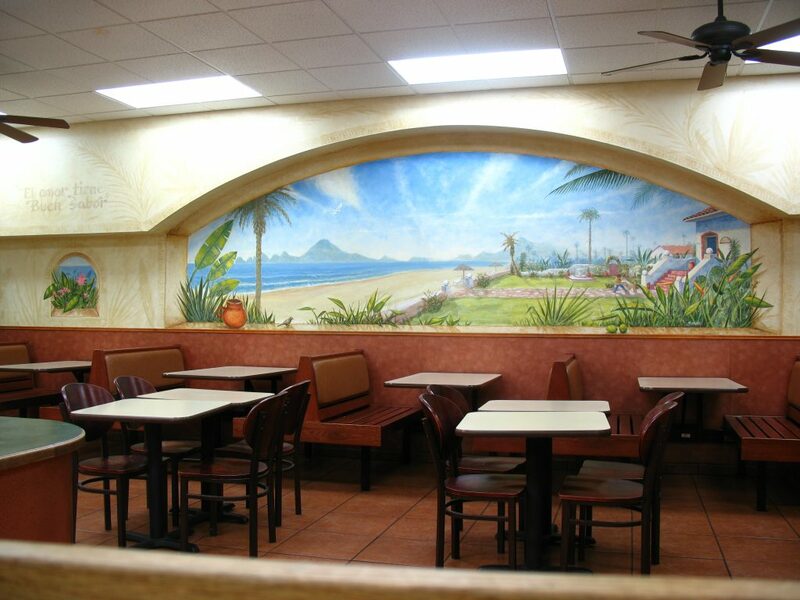 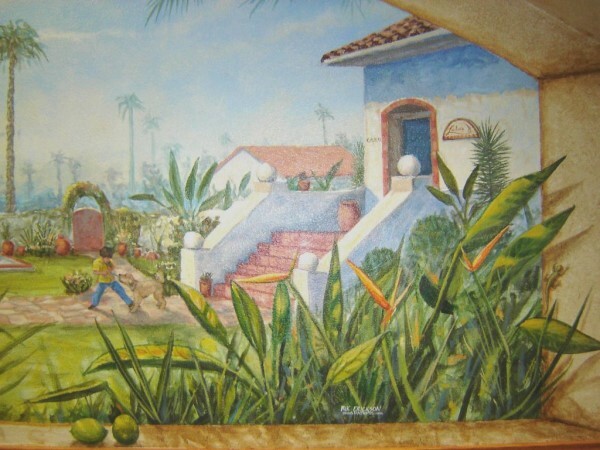 In this Cabo Mural, an imaginary scene of a beach in Cabo San Lucas, Mexico with Lalo’s taco shop on the beach. 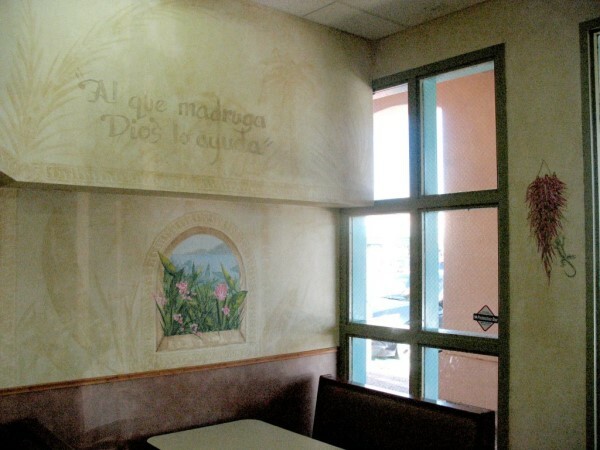 A specially prepared wall cut out area was used to frame the mural. 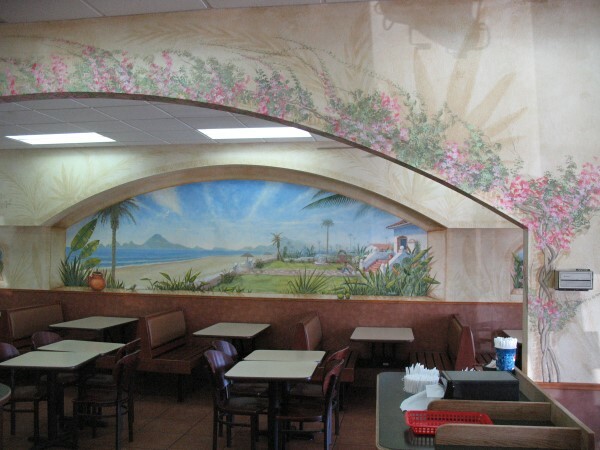 This was painted for “Lalo’s Mexican Grill” in the Hillcrest area of San Diego. 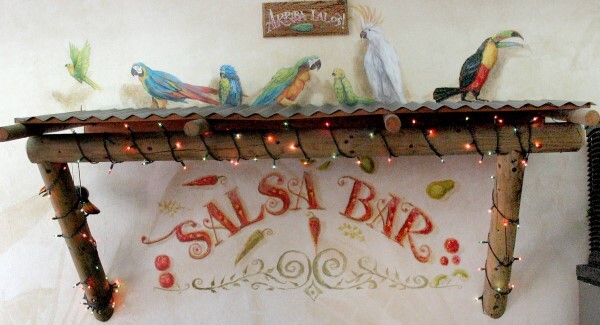 They have great authentic Mexican food here along with great ambience for a fast food type restaurant. 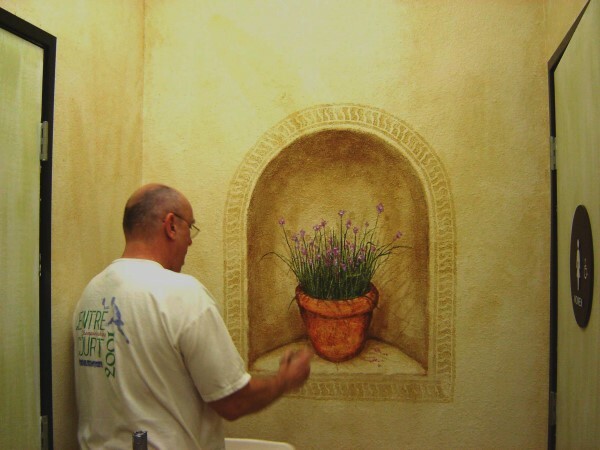 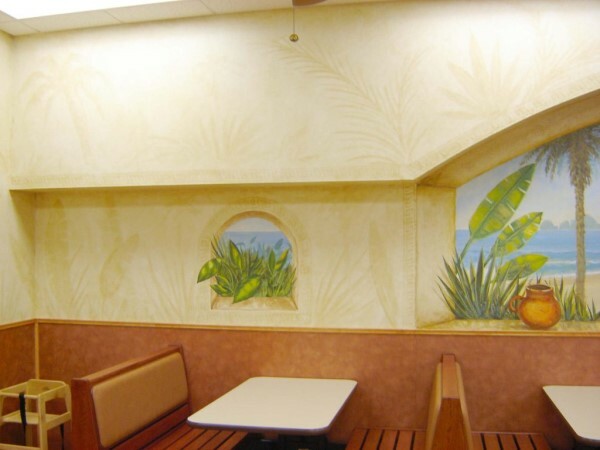 All walls were also faux color-glaze treated in a soft glaze and then all walls were embellished with soft palm leaf shadows adding more of a southern Mexico or Baja Mexico type feeling. 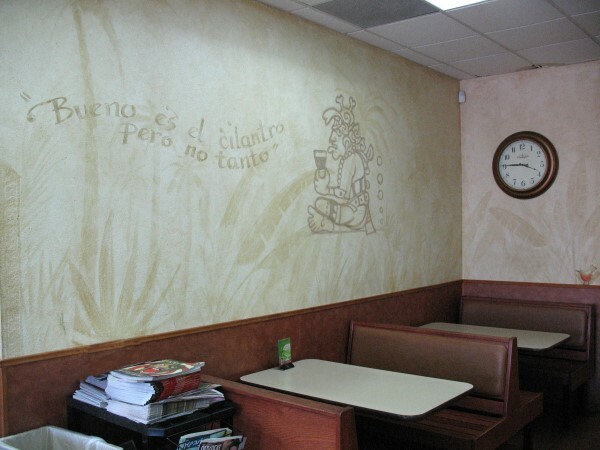 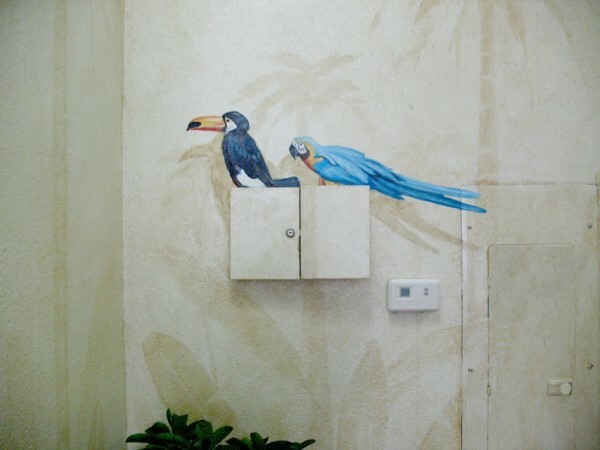 Mexican icons such as birds, chili’s and Mexican proverbs were also integrated into the wall areas to add a homey and interesting look for the entire restaurant. 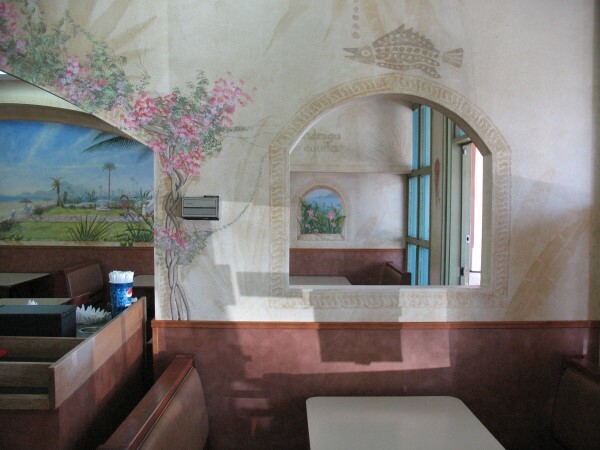 Bougainvillea was painted onto the walls at a later date to add even more of that hand painted, Mexican vibe.